"What is the Reason Why Women Can't be Priests?" "What is the Reason Why Women Can't Be Priests?" Why can’t women be fathers? Ten years ago this question would have made no sense. Obviously, women cannot be fathers for the same reason that men cannot be mothers: It is biologically and spiritually impossible. But today, with such confusion about self-identity and gender, the question has become a valid and sensible one. However, this question is not new to the Catholic Church. The reservation of priestly ordination to men is perhaps one of the most controversial teachings of the Church. So why only men? Many people will argue that the only reason Jesus chose men was because he was conforming to a misogynistic time. However, if we look at Jesus’ actions in the Gospels, we clearly see he wasn’t a conformist. Calling the Pharisees and Sadducees a “brood of vipers” and turning over the money changers’ tables weren’t exactly in line with Jewish customs. Jesus’ interactions with women show a deliberate pattern of breaking Jewish and cultural norms. 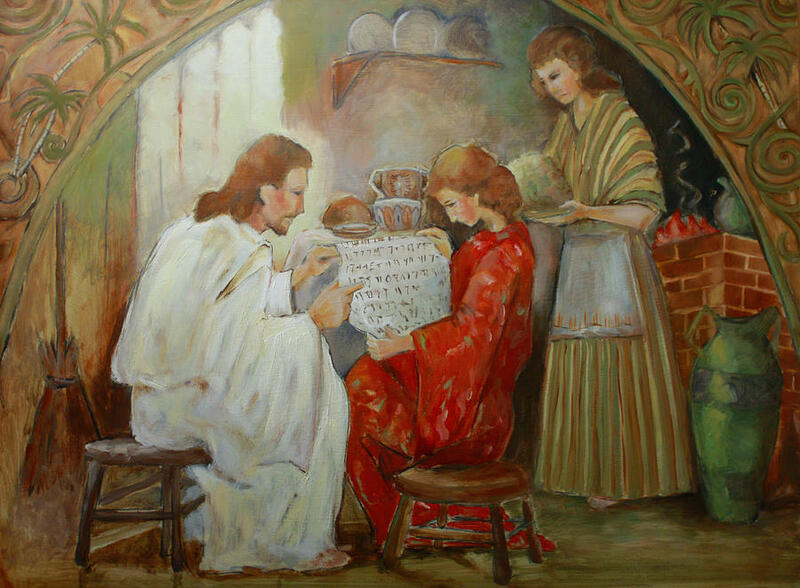 For example, Jesus talked publicly with a Samaritan woman; He took no notice of the legal impurity that resulted from being touched by the woman with a hemorrhage; He pardoned with compassion the woman caught in adultery, showing that women shouldn’t be judged more harshly than men; He was close friends with Mary and Martha (sisters of Lazarus); He allowed women to accompany Him in His ministry; and, perhaps most telling of all, women were the first witnesses of the Resurrection and were charged with bringing that message to the apostles, even though a woman’s testimony counted as nothing in court. Keeping all this in mind, we can see that Christ choosing only men as Apostles was a deliberate action. As Joseph Cardinal Ratzinger noted before his election as Pope: “One forgets that in the ancient world all religions also had priestesses. All except one. The Jewish. Christianity, here too following the ‘scandalous’ original example of Jesus, opens a new situation to women: it accords them a position that represents a novelty with respect to Judaism. But of the latter, he preserves the exclusively male priesthood.” What Cardinal Ratzinger is pointing out here is that if Jesus did choose women to be priestesses, it would not have been as much as a shock as people think. All religions had priestesses. The astonishing thing was that they were absent from the community of Jesus Christ. As clearly stated in Scripture, Jesus broke many Jewish customs; however, here he deliberately retains it. We must also look at the Priesthood as a Sacrament. According to the Catechism of the Catholic Church: “The sacraments are efficacious signs of grace, instituted by Christ and entrusted to the Church, by which divine life is dispensed to us. The visible rites by which the sacraments are celebrated signify and make present the graces proper to each Sacrament.” The Sacraments are outward “signs” which represent spiritual realities. For example, washing with water at Baptism signifies cleansing from sin, regeneration, and participation in the mystery of Christ’s death and resurrection. The water is an outward “sign” of what is really taking place spiritually. In the incarnation, Christ was born male and the priest is a sacramental sign or “icon” of Jesus Christ. Pope John Paul II alludes to this when he states that the apostles and their successors were given the mission of “representing” Christ. The Priest at Mass stands in Persona Christi (in the person of Christ); and Christ the Head and Mediator is male; therefore, the priest who represents Him must be male. Bonaventure adds to this a theological argument based on the long-standing tradition of regarding the bishop as the “spouse” or “bridegroom” of his diocese. Because of this, only a male should receive priestly ordination. Crucial to this theological argument is his suggestion that the sacramental symbolism of the priesthood reflects the bishop (or priest) in relationship with the Church, the “Bride of Christ”. I would like to close with an excerpt from “Light of the World,” an interview with Pope Benedict XVI. In this book Pope Benedict XVI explains the Church’s position on the matter. “John Paul ll’s formulation is very important: The Church has ‘no authority’ to ordain women. The point is not that we are saying we don’t want to, but that we can’t. The Lord gave the Church a form with the Twelve and, as their successors, with the bishops and the presbyters, the priests. This form of the Church is not something we ourselves have produced. It is how He constituted the Church. Following this is an act of obedience. This obedience may be arduous in today’s situation. But it is important precisely for the Church to show that we are not a regime based on arbitrary rule. We cannot do what we want… Incidentally, women have so many great and meaningful functions in the Church that there can be no question of discrimination.” Finally, if there is any doubt of the Church’s respect for women, we need only look at Our Holy Mother, whom the Church formally declared to be the Queen of Heaven (Oct. 11, 1954, Pope Pius XII).